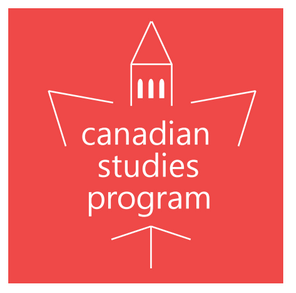 An item from the Canadian Studies program at Berkeley. Note the save the date for the Canadian Thanksgiving event at the bottom. We are pleased to announce that legendary Canadian author Margaret Atwood will speak on campus Thursday August 23. 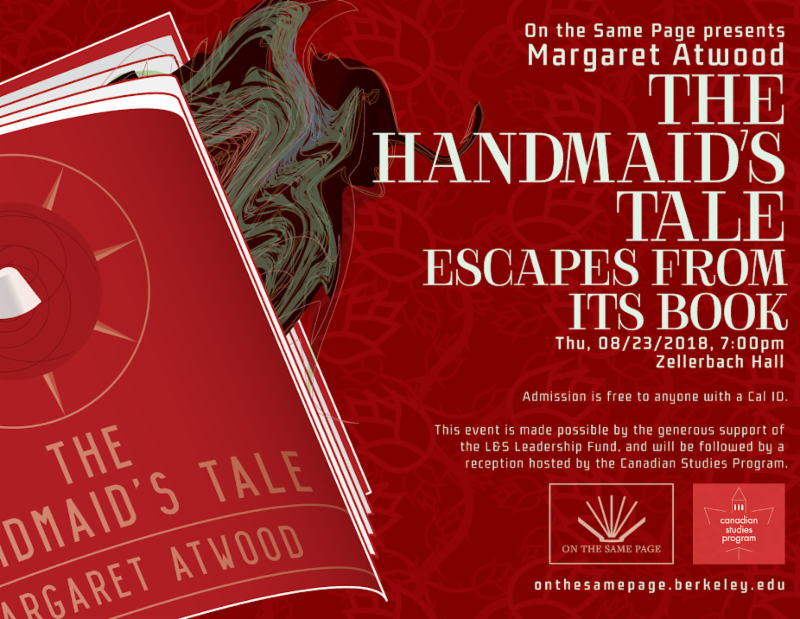 Ms. Atwood will deliver a lecture entitled “THE HANDMAID’S TALE ESCAPES FROM ITS BOOK” at 7:00 PM in Zellerbach Hall. Ms. Atwood’s talk is sponsored by the College of Letters & Science as part of the “On The Same Page” lecture series. Admission is free to anyone with a Cal ID. At 6:45 PM, Zellerbach Hall will open the doors to people without an affiliation to Cal, if seats remain by that point. Canadian Studies has secured a VERY LIMITED number of guaranteed seating tickets. If you would like to request a guaranteed seating ticket, please reply to this email. Guaranteed seating tickets in the reserved Canadian Studies section will be issued on a first come, first served basis, limit one ticket per person. If the number of requests exceeds the number of seats available to Canadian Studies, a lottery will be held to determine the ticket recipients. Following the talk, a reception will be hosted by Canadian Studies on Lower Sproul Plaza. Tickets: To request a guaranteed seating ticket, reply to this email. General Admission (open seating) will be available to anyone with a Cal ID. General Admission (open seating) will be available to the public at 6:45 PM, if seats remain. We recommend anyone seeking General Admission (open seating) entry to the event line up at Zellerbach well in advance of the program start time. Canadian Studies first Colloquium of the Spring 2018 semester will be Tuesday September 11, at 11:30 AM in 223 Moses Hall. Governor General’s Award-winning author Peter Behrens will speak about his new book “Families, Histories, Novels.” More information forthcoming. In partnership with the Digital Moose Lounge, Canadian Studies is pleased to present the 2nd annual Canadian Family Thanksgiving at Berkeley. Save the date of Saturday October 6. More information forthcoming. This entry was posted in Canadian Studies Program UC Berkeley and tagged Canadian Studies Program UC Berkeley on August 17, 2018 by Michael K. Barbour.